The Rivers state Police Command now has a new Commissioner of Police in the person of CP Zaki Ahmed. Zaki Ahmed arrived Rivers state Monday as the 38th Commissioner of Police in the State, taking over from Late CP Francis Odesanya. Ahmed once served as a Deputy Commissioner of Police in charge of operations in Rivers state before his transfer out of the state. 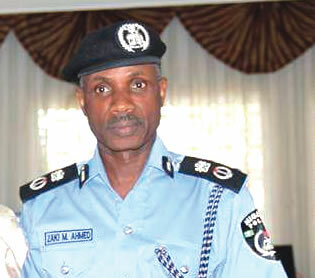 Until his transfer to Rivers state, Zaki Ahmed was the Commissioner of Police in Bauchi state. Ahmed hails from Kogi State. Upon resumption, he met with the rank and file of the command for a brief meeting and familiarization at the command’s conference room, Moscow road Port Harcourt. Speaking briefly after inspection at the quarter guard, Zaki Ahmed thanked the press for their cooperation with the police, noting that he would officially address the press later.